One of my favorite things about contract illustration is that I never know what kind of job will pop up next. Sometimes it's a giant mural in a workshop full of creative geniuses. Sometimes it's a tshirt for a robotics company. 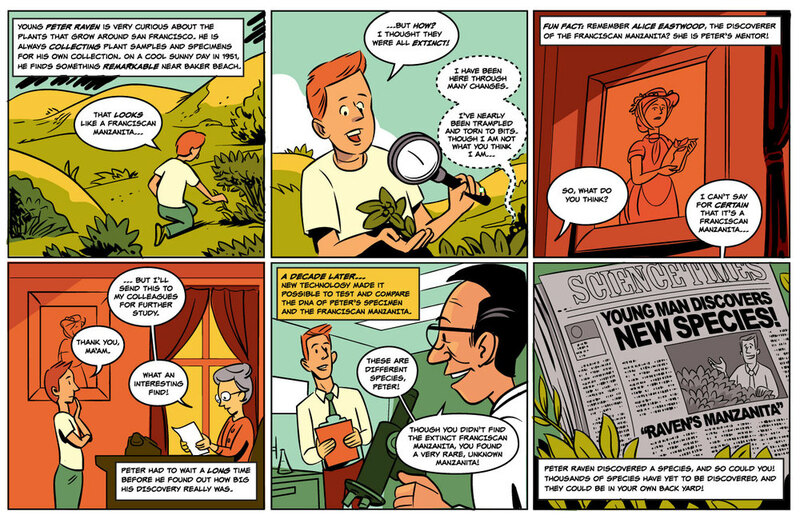 This time around, it was a series of comic strips about the history of a native California bush. I never did find out who the final client was, but exhibition design agency Gizmo contracted me to illustrate a script for a manzanita-themed comic. Now I know a little more than I ever thought I would about manzanita plants.